On July 29th 1999, Neelan Tiruchelvam was killed by an LTTE suicide bomber. Dr. Tiruchelvam’s death proved to be a grave loss for the Sri Lankan Tamils. Tiruchelvam, as a constitutional lawyer, was determined to settle the ethnic conflict in a peaceful manner. Even though Neelan Tiruchelvam did not agree with LTTE’s objectives of using violence to solve the ethnic conflict, he was very sympathetic to the young Tamils who were dying in the armed struggle, and in certain instances, Neelan used his authority protected the welfare of those within the LTTE. For example, in the late 1990s, the Canadian government was about to deport Suresh Manickavasagam—the LTTE chief in Canada. However, Neelan Tiruchelvam as a key political advisor in Chandrika’s government wrote a letter to the Canadian Globe and Mail stating that Suresh was likely to be “interrogated aggressively” if he was deported to Sri Lanka. Subsequently, Suresh’s defense lawyers were able to use Neelan’s written statements in postponing his deportation. However, despite proposing sweeping constitutional reforms, the LTTE dismissed the GL-Neelan package without having even read it and condemned Neelan as a traitor. In the late 1990s, Neelan worked to initiate peace talks between the LTTE and the Sri Lankan government under a third party peace facilitator. In 2002, long after Neelan’s death, the talks would eventually go into full force with Norway acting as mediator. In 2003, during the peace talks, the LTTE would propose the Interim Self-Governing Authority (ISGA) proposals. It would be the first set of concrete power sharing proposals ever put forth by the LTTE and was a significant achievement on their behalf. However, the proposals were disregarded by the Sri Lankan government from being considered as a subject of negotiation and was regarded as too maximalist. The ISGA proposal may have received a different reaction from the Sri Lankan government if Neelan had not been killed by the LTTE. Neelan strongly encouraged peaceful negotiation on the part of the LTTE and since Neelan was the closest political adviser to Chandrika he would have insisted that Chandrika take the LTTE’s proposals into consideration. However, the LTTE by killing Neelan ultimately stabbed themselves in the back. The LTTE, through its decimation of Tamil political intellectuals, ultimately helped seal their fate for what transpired in the final stages of 2009 as Tamils were slaughtered by the thousands just as Neelan Tiruchelvam, Rajini Thiranagama and other Tamil intellectuals who the LTTE killed had predicted would be the final result of the civil war. The Central Bank Increased The Interest Rates! International Adjudicators – Why Not ? Now now who is this idiot. LTTE threw a powder puff at Neelan to make him look beautiful and black and white photographs. It is the Genecidal Sri Lankan Army that did all the killing. These LTTE boys, pavam, they are political prisoners throwing only empty words at enemies. Sambanthan and Sumanthiran is proud about how LTTE was the innocent voice of the Tamils. Neelan Thiruchelvam was known to me being three years senior to me in school. He with good intention co-authored the constitutional reforms with Prof. Gamini Peiris and Chandrika Kumaratunga. By doing this he put his neck braving the attack of LTTE. After the proposal was thrown out by Parliament, even after watering down by Chandrika and Peris, Neelan told me that he was disappointed that the other two had let him down and if he had a slightest suspicicion that they will do that, he would have not agreed to draft the proposal with them. Ultimately he lost his life and both Chandrika and Peris have enjoyed the fruits of that betrayal. It is sad that when Neelan was beginging to realise his folly and be useful to counter Sihala racism, LTTE killed him. So it is a gain not loss to the Tamil cause. Right? -pore. The cheating continued/es ever since. Was there any proper open inquiry held to assert the killer of Neelan. There had been many espionage agents working in SL . most of them disguised as LTTE officials and recruited and used for many sabotage activities. Check points were used as good sites to connect minor and major offenders and innocent Tamil youth. They were brain washed and used as killers. There were many susceptible economic targets in SL but LTTE did not target them. Even during LTTe control period the govt Banks offices were functioning. stamps and currency was respected. For every bad things Ltte was the scapegoat. except LTTE all other militant movement worked for SL or other sides. Media is the first lier and biggest sinner. I am not saying that LTTE was an angel but not very very bad devil as portrayed. In some occasions LTTE tried to correct there mistakes. LTTE is used to escape from all sins . You are a man or woman in a million perhaps even a billion. You alone know that the LTTE did not kill and torture many as all of us idiots have believed all this time. Like our great intellectual Prof Carlo Fonseka, we must all change our minds 180 degrees now that you have spoken. Perhaps you will write a fuller statement of the truths you know including all the ways in which the LTTE supplied the air of freedom to the Tamil people living under their Rama Rachiyam. While doing that you will also perhaps explain how the Government hired some thugs to kill all 600 sinhala policemen to give a bad name once again to the LTTE. Of course you do not call them angels – such noble moderation as yours will never go that far ever. All those visiting north east is to urge to accept an admaisasanam. They do not want to here the grievances or that people voices. This is another try to demoralise the Tamil people. It was not a death but a murder. Another murder was that of Lakshman Kadirgamar? These two could have contributed to resolving the Tamil problem in a more peaceful manner. The execution of Neelan by TAMIL TIGERS was investigated, culprits found, plot found and please do not always be excused for LTTE fascists.Everytime someone raises an issue about Tiger atrocities or executions of moderate Tamils or Parliamentary Tamils(Amirthalingam) Tamil Tiger diaspora raise their hackles and pretend LTTE are virgins. They were an obdurate group who even when the writing was on the wall in Jan 2009 after Kilinochchi fell, thought they can win and kept hiding behind human shields. They thought the US and India will rescue them. They deserved what they got; everyone of the Tigers. NOT innocent civilians who died in the crossfire. Sure let us investigate it using civilians foreign judges and modern technology. You cannot hide, bury or burn 40,000 bodies and not get caught by satellite. So why can’t the US, India and other nations then release those photos IF there is evidence? So if 7000 people died there is a huge difference than the LTTE lies claiming 40,00 died. But let us investigate it; let us go to the jungles of Mullaitivu and go to the lagoon and investigate. LTTE hid in civilian clothing, they had their foot soldiers forcibly conscripted like Nazis had child soldiers. They were either given weapons or a shovel to work on war efforts. Those are then warriors in a war and they cannot be called civilians. Stop trying to be so innocent. Don’t you think, you people are hypocrites. Why LTTE moved with the civilians ? Why LTTE di dnot engage leaving Civilians aside ? Now, why don’t you people accuse all your LTTE – financiers and supporters for killing innocent civilians ? Before you ask someone of being hypocrites, ask whether you are a lunatic donkey not even fit to ask that question. Yes, holding of civilians as human-shields is indeed recognised as an alleged war crime and it has been cited for such crimes in the UNHRC report and other international reports. This has been highlighted many, many, many, many times but thick skin donkeys like you do no simply open your eyes and years and have the cheek to talk nonsense. Yes, the LTTE, if proven, will be guilty of such crimes. You can buy a shovel and ask the regime where they are buried and continue digging to your heart’s content. Tea or coffee will be on the house. “Now, why don’t you people accuse all your LTTE – financiers and supporters for killing innocent civilians ? Ok, let us now talk about all those who supported the regime to murder the thousands of civilians. It includes Pakista, China, Russia, US, and even India. Put them in the same room as those whom you allege supported the LTTE, financially or otherwise. Do you have the guts to squeeze their balls? Do so before lecturing us. At a time when the past highest ranking law enforcing officer the IGP is been questioned on the assassination of Lasantha, the people charged for Rajvirs murder and a lot of doubts on Kadirgama’s and SF publicly saying the attack on Gota was stage managed. How do you take anything what the govt said for granted? Call it a “turf” war and it was viscous on both sides. Those who had to pick up the pieces for the rapes and murders and other atrocities committed by the regime and the armed forces had only the LTTE who was able to dent the activities of the army. For many years, using their sheer supremacy, the regime bullied and maimed the Tamils. Sri Lanka is one of those horrible countries that air-bombed its own citizens. Would they have dared to drop bombs in Sinhala areas? The Sinhala politicians built thriving careers out of the sufferings and deprivation of the Tamils. It has always been the case that most Sinhala politicians will be out of work if the Tamils’ issues have been resolved. To quote an example, Nadeson married a Sinhalese woman but she was not on the list of the LTTE. So, it has been always essentially a turf war. The Tsmils too lost a number on their side. At some point in time, we all have crossed the path of baptism. On his own admission, Neelan realised the duplicity of GLP and Chandrika when they did not stand-up when Parliament rejected the proposals. You don’t need a crystal ball to realise that Chandrika and GLP simple played truancy, making it look like they were honest in what they did but knowing very well Parliament will save them. Has it ever been any different, either before or after that era that honesty, sincerity and principle have ever been the virtues of any SL regime? Neelan, for all his knowledge and smartness ought to have known better but instead got duped, adding to the long list of hopefuls. I believe most of us have done that but this is one country that you cannot trust with even a pinch of salt. Look at the hype Mahinda created with his teeth shining but all came to nought. This is a country that will co-sponsor a resolution agreeing to the terms but somersault without a whimper. Neelan just fell into the trap. Of course, we could have caught the LTTE by the collar if the regime had indeed honoured the Neelan/GLP recommendations. He, as many others before and after him, was used by the regime to take the Tamils for a ride. May be Neelan was not part of that scheme consciously but what he did was grossly wrong – it is nothing more than being used to take the Tamils for a ride. News made the rounds that the fallen civilians were ground in a concrete mixer to remove any trace of their presence. Do I believe that? Absolutely, because all this regime told right from the beginning were lies, lies and lies. It is capable of the most heinous of devilish acts. Let us leave the numbers aside and permit me to put forward a question to a donkey who has little or no inclination to know the truth. If the regime has nothing to hide why all this drama of running scared? For one, the more it behaves the way it has, the more it reinforces that it has not only hidden the truth but has committed grave war crimes. Even with only the scant reports, the picture looks horrid. It could have absolved itself long ago instead of the various charades that it wants everyone to believe. I am fully in agreement that foreign, credible and independent judges will be able to at least unearth part of the truth on what happened to the civilians during those last few days. We owe it to them. The Tamils should realize that the Tamil ltte terrorist killed Neelan and all capable Tamils so that the menglomaniac can have his dream of Eelam. The Tamils have been misled and disgraced by the menglomaniac. Twisted events and lies cannot resolve issues of Reconcliation, neither involvement by other Outsiders. It’s for all local to resolve and leave in Peace and Harmony. The Outsiders should stay out. Ok, the megalomaniac supposedly killed Neelan and how many more Tamils may have fallen victims to the LTTE. But look at your own back and ask how many more thousand and thousands of Sinhalese youths were brutally murdered and vanished, thanks to your valiant soldiers. You don’t have the balls to talk about that and cheap donkeys like you dare to lecture the Tamils. Do you know how many mothers still weep for the loss of those youths? You ought to be ashamed of yourself. You can’t even defend your own race murdered in the thousands and your are shedding crocodile tears for a Tamil. It is getting a bit edgy to explain to donkeys like you. Half-baked buns should learn that it was on the basis of a co-sponsored UNHRC resolution that the country invited the “outsiders” to partake in the investigation. Did you ever ask the leaders why they signed international covenants and are you really aware of those international covenants? Killing individual politicians was the grave mistake made by the LTTE. Now the Tamils do not have any learned, trustworthy, selfless Tamil politicians in Sri Lanka. The culture of dishonesty among the Tamil politicians that is eating the souls of the Tamil people. In that respect Mr.Neelan Thiruchelvam was an honest, intelligent and educated man sincerely interested in solving the Tamil problem by talking to the government. He also functioned as an adviser to the government. Even if he had lived, he would not have succeeded because of the attitude of the crafty Sinhalese leaders. Killing Rajiv Gandhi was another blunder and heartless action by the LTTE which the Tamil people condemned. The government should take responsibility for creating the LTTE. Even now the government going in the same path. Late Mr.Chelvanayagam’s Vaddukoddai resolution was the result of the Sinhala Politicians’ arrogance to treat the Tamils as second class citizens and not yielding one inch for their demands. What the **** you are talking? Where do the innocent civilians stand in your warped mind? We are all sorry for the untimely demise of Neelan. Whatever I have heard and read about him defines a decent and caring human being who worked tirelessly for the cause of Tamils. But how he went about in being used by the Sinhalese is the point in contention. Gnana Sankaralingam has written how Neelan would blame himself for being used by Chandrika and GL Peiris in a half-hearted attempt to deceive Neelan which has always been the mainstay of all the regimes. In short, he allowed himself to be used to punctuate the Tamils in their attempt to get their grievances resolved. This happens all the time, just like Mahinda used Devananda and Karuna. At the behest of a turf war, just like Karna, known as a karmayogi, chose the Kauravas and went down with them. There is little in the way of Neelan’s attempt for the betterment of the Tamils. He was simply used by the regime to drive a wedge among the Tamils which unfortunately became true in the form of Karuna. Why a Great Loss to the “Tamil People”? Why cannot say “It is a loss to the entire country and the Sri Lankans? Still propagating TRIBALISM?. Show me one intellect the LTTE spared? Zero!!! All assassinations are barbaric but Pitasanna, why bring Neelan now? One gets the impression that your intention is to denigrate liberation movements. Does this indicate that Neelan just not could not have achieved anything. Please name a few of the thousands of intellectuals. By the way Pittasanna does the name Sivasubramaniam Raveendranath ring a bell? On 15 December 2006 the then Vice Chancellor of Eastern University, Prof S Raveendranath, was abducted in a high security zone in Colombo by the Sri Lankan armed forces in collaboration with its paramilitary goons. He has not been seen ever since. Will you rate Ravee an intellectual? 1) The reason why I wrote about Neelan in particular was because July 29th was his death anniversary and I wanted to write an article to discuss the significance of his life and assassination on the day of his death anniversary. It is true that the Sri Lankan government is behind political assassinations against Tamil politicians such as Kumar ponnampalam, Joseph pararajasingam and others but the reason why I wrote about Neelan in particular was because it was Neelan’s death anniversary and I wanted to discuss the significance of his life and death. This was a quote from a speech Anton Balasingham gave on March 11 2003 at the opening of an LTTE bank– it was published in the Jaffna based Uthayan paper. The quote is significant because it shows that Balasingham wished that the LTTE would have taken the GL-Neelan package into consideration and furthermore it implies that Balasingham regrets the LTTE’s killing of Neelan Tiruchelvam because of the consequences it had on the well being of the Tamil people. 3) And the last sentence (obviously you quoted me incorrectly) I never said “thousands of intellectuals were killed” I said that the LTTE’s killing of intellectuals, who vocally supported solving the ethnic conflict under a federal solution, would help seal the LTTE’s fate as in the final stages of 2009 thousands of Tamils were killed in a narrow strip of land. This is something that intellectuals like Neelan Tiruchelvam and Rajini Thiranagama had predicted would occur. The LTTE, by killing any Tamil intellectual who voiced dissent and by refusing to negotiate with them, would ultimately help seal the rebel group’s fate which occurred on May 2009. 4) My intention is not “denigrate liberation movements” but we have to ask whether the LTTE’s actions were actually harmful or helpful to Tamils.. whether they actually “liberated Tamils” or whether the LTTE’s actions harmed Tamils. The LTTE’s killing of leaders in rival Tamil factions, the LTTE’s forced expulsion of Muslims, the LTTE’s use of civilians as human shields, the LTTE’s forced conscription of Tamil children, the LTTE’s rejection of the Indo-Lanka accord, GL-Neelan Package, and subsequent assassination of any politician who proposed constitutional reform (Rajiv Gandhi, Neelan Tiruchelvam etc.) All these actions ended up harming the well-being of Sri Lankan Tamils. The Sri Lankan government is also responsible for committing egregious human rights violations against Tamils but the killings committed by the LTTE against its own people in no way helped liberate them but in fact worsened the conditions for the Tamil people living in the North and East. Neelan family and Chandrika family were very close. Neelan used this friendship to extract some concessions for Tamils – repeat concessions not justice. Neelan’s effort is laudable but he did not succeed. Chandrika was probably willing but she just could not do anything because of internal opposition. This is very much like the forces which compelled SWRD B to unilaterally abrogate the BC pact. For the same reason Maithiripala/Ranil will do nothing. Denying justice to Lankan minorities is big business – after all this worked for 68 years! I do not think Neelan let his friendship with Chandrika “blind” him at all. Neelan, and even Neelan’s father Murugeysen Tiruchelvam (who was a Senator and good friends with SJV Chelvanayakam and helped acquit those at the Trial-at-Bar) had always held that the ethnic issue can only be resolved in a peaceful manner only through constitutional reforms. If you read the GL-Neelan package it is the most progressive constitutional reforms for power sharing among the Muslims, Tamils and Sinhalese. So I fail to see how Neelan was “blinded”.. he and even his father have always held this position that the ethnic issue can only be solved through constitutional reforms not through an armed conflict. You are correct that there was opposition by hard-line Sinhalese and even some opposition within Chandrika’s own party which would make any constitutional reform difficult but it certainly did not help matters when the LTTE condemned the proposal without even having read it and called the individual who proposed the package a traitor. When the proposal was made public, international leaders from the EU, US, Canada, Australia all expressed strong support for the package and encouraged negotiations between the LTTE and Sri Lankan government to take place. If the LTTE expressed public support for the package, there would have been immense pressure by the foreign powers against the GOSL to negotiate with the LTTE. I agree with you that the killings of political leaders by the LTTE was a mistake. Each killing would help seal the LTTE’s fate. When the LTTE proposed the ISGA, a power sharing agreement, in 2003 it was a significant achievement but it was overlooked by the Chandrika government and regarded as maximalist. Neelan Tiruchelvam, a Tamil constitutional lawyer and a key adviser within the Chandrika government, would have insisted that Chandrika consider the ISGA proposal. and perhaps negotiate with the LTTE on certain conditions in the proposal And this is where even Balasingham realized that killing Neelan was a mistake. Every single killing of political leaders by the LTTE would come back to seal the LTTE’s own fate. And while the LTTE was utilizing various key members of the Tamil diaspora to try and craft a power sharing proposal (ISGA)… none of the individuals who helped draft the ISGA could even compare to the knowledge and constitutional experience that Neelan Tiruchelvam had. Neelan, an individual who advocated for power sharing, would have also given significant input on a feasible ISGA and one that would not be regarded as too “maximalist.” Neelan was very sympathetic to those who were fighting for the Tigers and in some instances even protected the welfare of members of the rebel group so there is no doubt he would have contributed to the drafting of the ISGA had he still been alive and had the LTTE actually engaged with Tamil political intellectuals like Neelan Tiruchelvam instead of killing them off. Like I said previously, the LTTE’s killing of political leaders would help seal their own fate. Killing a fellow human being is wrong. Assassination of Neelan was wrong – no need to rope in Balasingam to corroborate this. 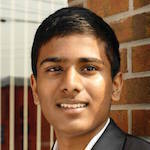 Did Neelan succeed in the restoration of justice? No. Right now there is this march demanding GoSL not to squander what Mahinda won. Maithri/Ranil will capitulate. The language divide will be rekindled. what LTTE did to their people was exactly what Rajapaxses did to their people. It is a great loss for the world, not fro Tamils as perceived by their sole representative LTTE, for them he was a traitor. No exception, whoever trying to solve the problem had been killed with a traitor tag; Mathaya who saved VP’s live from IPKF wasn’t escaped nor was Rajiv. What you expect when Sonia who lost her husband at his prime at the helm. VP had made enough enemies killing TELO boys and etc. that he could not lived being disarmed. This had been the problem that anyone who tried to solve the issue had become the victim. Even give Tamil Eelam, VP would have said we would fight for it, not knowing their use by date has been passed, those whom forcefully conscripted has lot to do for their families that suffered under LTTE and embargos than be with some bullies, that was the ground situation comes to 2009 May. They were a liability but MR made them an asset for him. What Author did not take into consideration was implementation of any agreement between Tamils and GOSL. Tamils have seen these failed accords many times, Neelan would not have changed mind set of Singhala polity for millions of years. Past accords like Dudley-Selva or Banda-Selva could have prevented destruction that SriLanka faced last few decades. The killing of Neelan Tiruchelvam was a huge mistake. Neelan told his friends that LTTE will not kill him. He was mistaken. Another huge mistake is the killing of Rajiv Gandhi. The IPKF sent by Rajiv Gandhi killed thousands of innocent civilians and raped women in their hundreds. Yet, it was no justification to kill him. Most militant organizations fighting for freedom do not brook the slightest opposition. They have no stomach for dissent. However, when the Sinhalese army advanced, people never stayed back but ran to LTTE held territory. The people never thought the Sinhala armed forces will treat them justly if they remained back in their villages. The subsequent events proved them right. Those LTTE cadres (more than 100) who surrendered to the army on May 17/18 at Vadduvaaikal were taken by buses by soldiers promising they will be released after a short inquiry. So attempts to paint the LTTE as devils and the armed forces as angels is far from the truth. Steeped in racism the armed forces always considered the Tamil people as their sworn enemies who could be killed with impunity. The killing of Neelan Tiruchelvam was a huge mistake. Neelan told his friends that LTTE would not kill him. He was mistaken. Another huge mistake is the killing of Rajiv Gandhi. The IPKF sent by Rajiv Gandhi killed thousands of innocent civilians and raped women in their hundreds. Yet, it was no justification to kill him. Most militant organizations fighting for freedom do not brook the slightest opposition. They have no stomach for dissent. However, when the Sinhalese army advanced, people never stayed back but ran to LTTE held territory. The people never thought the Sinhala armed forces would treat them justly if they remained back in their villages. The subsequent events proved them right. Those LTTE cadres (more than 100) who surrendered to the army on May 17/18 at Vadduvaakal were taken by buses by soldiers promising they will be released after a short inquiry. Therefore, attempts to paint the LTTE as devils and the armed forces as angels are far from the truth. Steeped in racism the armed forces always considered the Tamil people as their sworn enemies who could be killed with impunity. Good to know that you hold a view that the killing of Rajiv Gandhi was a mistake. How long after the killing did that wisdom dawn on you! The way you refer to the killings of both Rajiv and Neelan in the same breath seem to suggest that in your scale both merit equal condemnation. Wrong. Killing Rajiv Gandhi was a colossal mistake; a blunder beyond redemption. I am not in anyway absolving anyone of the murder of Neelan Tiruchelvam. His inborn interest towards the well being of Tamils can be summed up in one word. Nil. I should know that. He was my contemporary at Peradeniya. His incursion into politics was a development that came about much much later, most probably induced by his dad Murugeysen Tiruchelvam, a former minister. We know the limitations to the influence our Tamil intellects had with Sinhalese leadership. 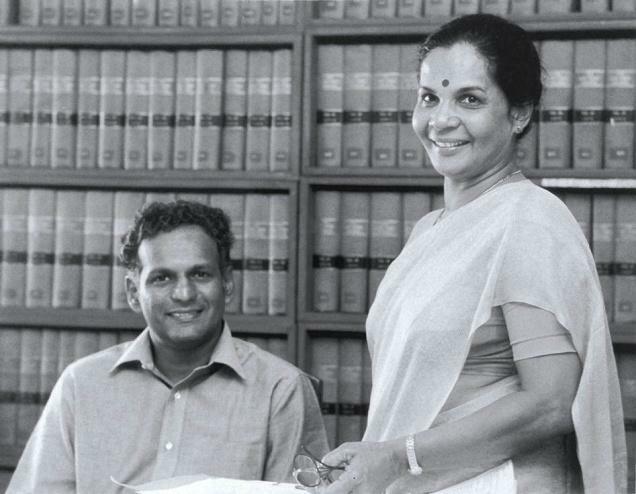 The influence that Neelan had over Chandrika could not have been any different. Nathan, you say that Neelan’s “inborn interest towards the well being of Tamils can be summed up in one word. Nil. I should know that. He was my contemporary at Peradeniya. Was Neelan your room mate in Peradeniya, Nathan? Otherwise, your basis for your conclusion is poor authority. Looking at your phrase :”incursion into politics” and not interest in Tamil well being, suggests that you think that your “insight” as a contemporary whether from a different hall, faculty or batch, has validity for ever. Nathan, if this is your style of reasoning, your capacity for judging character is suspect. Do you think that one cannot care for the welfare of any people through an innate decency and an acquired enlightened commitment to justice and humanity? if you do, I am afraid you are another example of Peradeniya’s failure to produce open, reasonable, continuously learning graduates. Yes, Neelan probably cared for the well being of Tamils no more than he did for the Sinhalese or Muslims or for that matter the Hottentots. That is the kind of politician Tamils, Muslims or even Sinhalese need today and forever and who alone will save the country. The mistake is not being able to kill Gotabya Rajapaksha and Sarath Fonseka. Rajiv Gandhi is immaterial. I’m sorry to say this. Why do you say it’s a grave loss to Tamil people. it’s a grave loss to everyone in Sri Lanka including Tamils and Sinhalese. Every educated Sri Lankan loved Neelan as a great son of Mother Lanka. His loss is no way secondary to the loss of Lalith Athulatmudali and Lakshman Kadiragamar. how about unknown innocent Tamils killed by Barbaric Lankan forces over 30 years? are they just numbers? every innocent person died in this was was precious as Neelan was , don’t discount those innocent Srilankans who were murdered by all parties period. Mr/Ms Karikalan! We are talking about leaders here; specially national leaders. They represent both dead and alive. Most readers who comment on CT twist the argument to suit their personal political agenda. And, the others get confused. This confusion creates more confusion within oneself and it paves the way for everybody’s confusion! Then, many nations including Sri Lankans always end up in a Cul de Sac! This is the time for Sri Lankans to think as one nation and one country. I was in the UK when Rajiv Ghandhi was killed by a human bomb. My colleague in office,a young Englishman[who read political history for his degree] made the cryptic remark: The LTTE HAS BURNT ITS BOAT! Mrs.Gandhi was shot dead by her own Body Guards[Sikh],when she had ordered the Indian Army to storm the Golden Temple-The holiest shrine of the Sikh community. I dont deny the fact that he wanted to settle the Sinhala-Tamil issue through Constitutional means; Unfortunately,the LTTE suspected his role and even Chandrika-GL let him down eventually by tinkering with the original proposals. Perhaps,History will evaluate his role in bringing the Sinhala-Tamil divide a bit closer.